Kent Kauffman discusses our Yield Booster products, and the benefits of incorporating micronutrients in your plant health system. Listen to Kent Kauffman of the BigYield.us team and Kyle Hill, Ag 1280 Farm Director, each Monday, Wednesday, and Friday on Ag 1280 KDKD-AM. The segments air at 7:15 am and again at 12:15 pm. This segment originally aired on June 5, 2017. 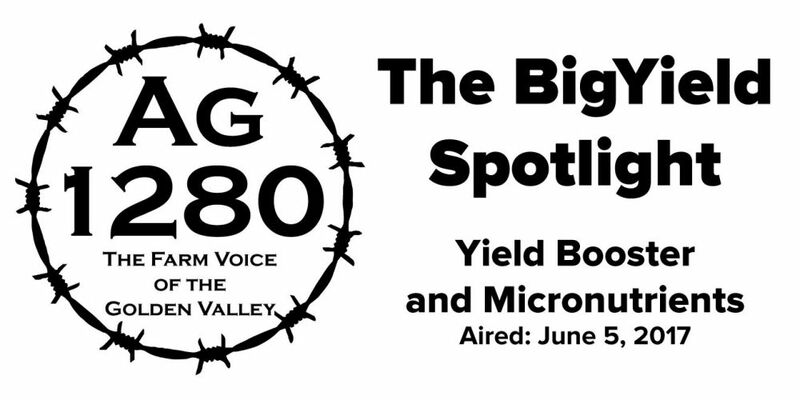 Kyle: Welcome back to the BigYield Spotlight. I’m Kyle Hill, visiting with Kent Kauffman of BigYield.us. Good to have you back in the studio today. Kent: Thanks for having me back Kyle. Kyle: Let’s talk about micronutrients today. What are they, and how do they work? Kent: There are seven micronutrients required by plants. Those are zinc, manganese, copper, iron, boron, molybdenum, and chlorine. Most of the extension offices, like MU, are really good about having a chart. They will detail all the uptake that your crops need, in pounds per acre for a crop. Most of these micronutrients are going to be less than one pound, except iron, which will be over one pound for most crops. Kyle: If most of these nutrients don’t even need to be applied at one pound per acre, are they really that important? Kent: The big thing about micronutrients is that they tend to be yield-limiting as opposed to yield-enhancing. Yield-enhancing products would be something like nitrogen or our cold-processed sweetener, where you add it and keep gaining yield as you add it. But because these micronutrients are so small, you can easily hit the amount you need. The only problem is if you don’t have these and you do need them, it will drastically reduce your yield. We actually had a grower that was missing some micronutrients, and he ended up bumping his yield up by 26 bushel per acre just because he was deficient in those micronutrients. They underly critical processes in your plants. It’s kind of like your car, there are some parts that aren’t that important, but if you don’t have a fuel line a hose or something that is integral to your engine, then it will stop everything from working. Kyle: How does a farmer know if his or her crops are deficient in micronutrients? Kent: Well the first step is going to be soil tests. The thing is most soil tests just tell you the amount of nutrient in the soil, not what is actually biologically available to your plant. We’re making a lot of progress on the different types of soil tests you can do, but just be aware of that if you’re doing a basic soil test. Visually inspecting the crops is a great way to look for specific deficiencies. Agronomists at your extension office, or your own agronomist and even some apps are great for identifying nutrient deficiencies. Finally, doing tissue sampling on troublesome fields or if you have seen discoloration on leaves and comparing this to better fields is a great way to figure out what is going on. Kyle: What can a farm do to apply micronutrients? 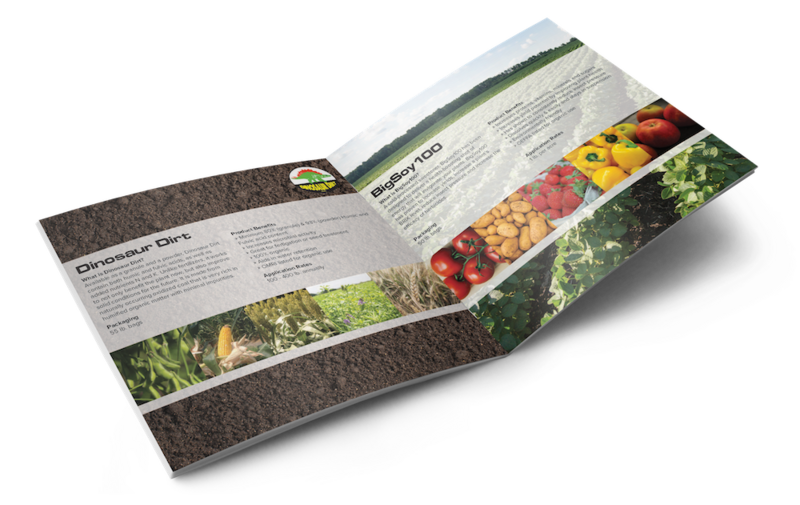 Kent: Farmers can apply micronutrients both in-furrow and foliar, and even on the seed with our BigYieldCoat products. Our Yield Booster product is made with 7 vital micronutrients, as well as NPK fertilizer, and this can be applied both foliar and in-furrow. Rates vary depending on crops, but we’ve seen good results in corn, soybeans, alfalfa, wheat, pastures, and even on potatoes. It’s a precision application. With the in-furrow application you should put it directly next to the seed. With foliar coverage, you just need to get coverage all over the leaf and a little bit goes a long ways in the field. Kyle: Can you tank mix this with other products? Kent: Yes, almost every time I apply Yield Booster it is tank mixed with something else. I mix it on a regular basis with our BigSweetYield and BigBioYield products. I’ll mix it when I am applying herbicides, fungicides, or insecticide treatments as well. Right now is one of the great times to apply micronutrients to corn. Anytime when you have a high growth or reproductive period, it is a great time to apply micronutrients. Kyle: It looks like those growth stages are specifically V3 to V6. Kent: Yes, in corn that is a great time to do it. Kyle: If anyone has questions about Yield Booster or any of the BigYield.us products, who should they contact? Kent: They should contact us at the research farm. 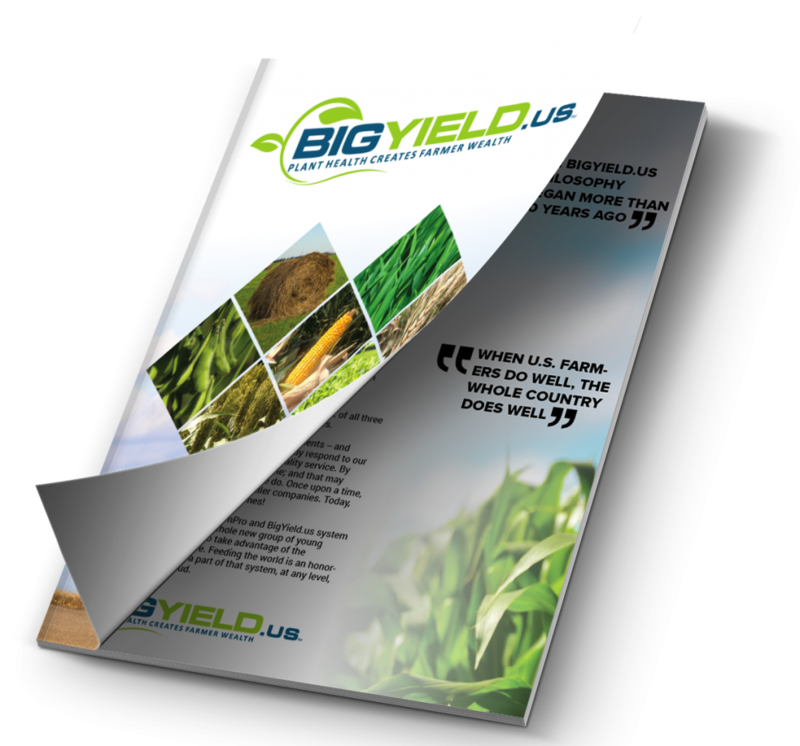 They can find us online at www.BigYield.us. They can call 816-773-6096. They can stop by the research farm, it’s off of 7 highway just west of Garden City. Come in anytime, we will be happy to show you around and show you how everything works. Kyle: Good to have you in the studio again today. Kent Kauffman with BigYield.us. Looking forward to another great conversation with you.